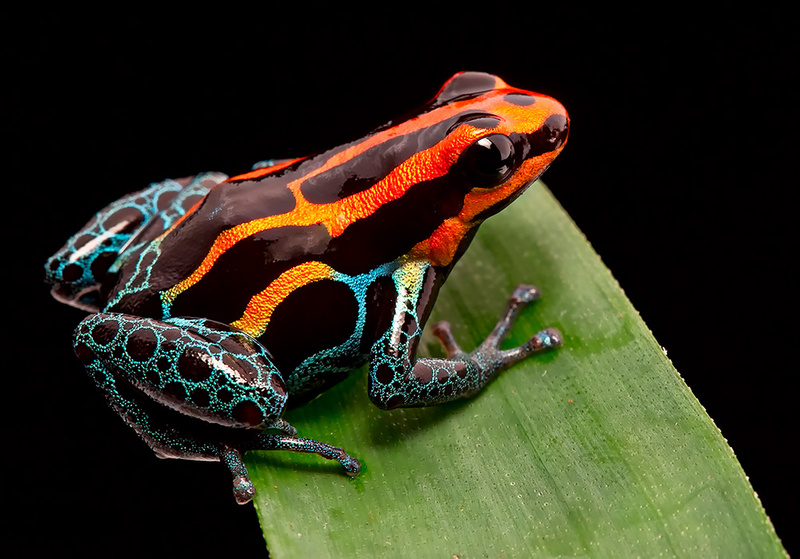 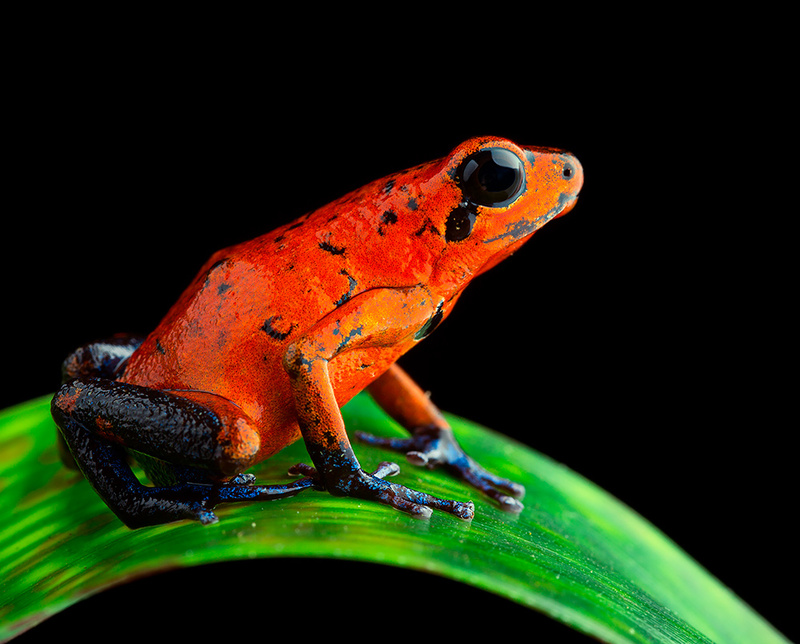 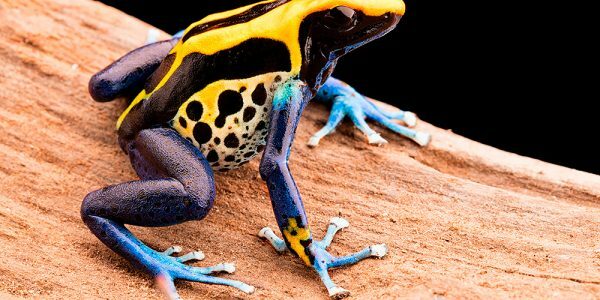 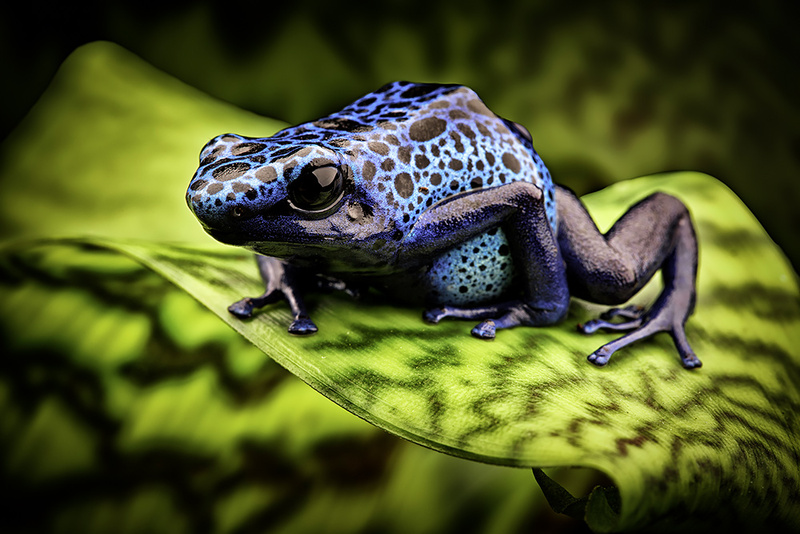 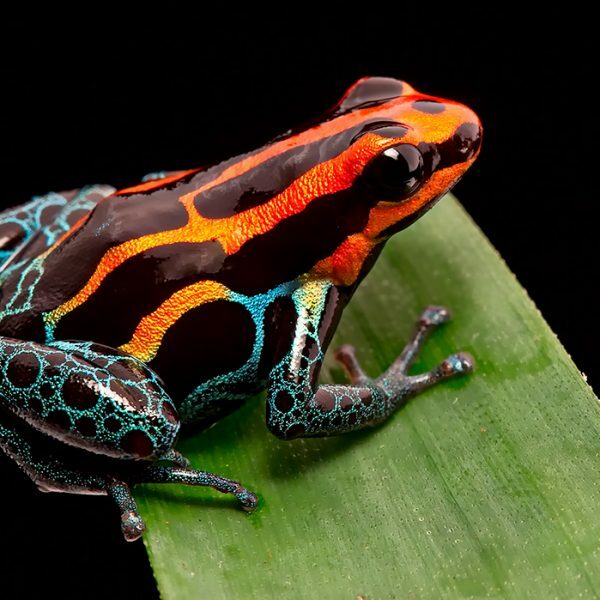 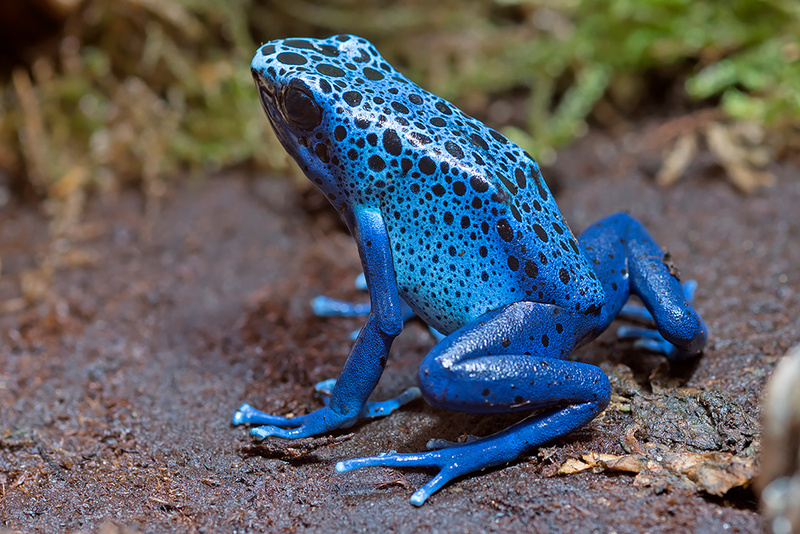 Dart frogs (also known as poison dart frogs and poison arrow frogs) are among the most colourful of all amphibians. 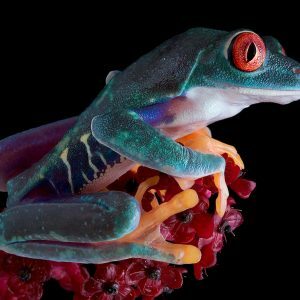 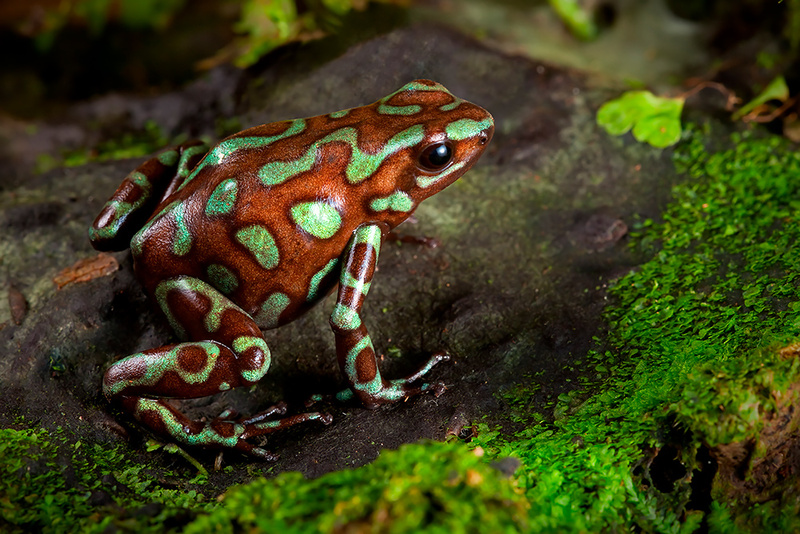 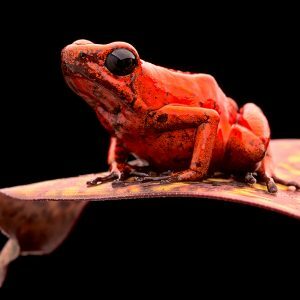 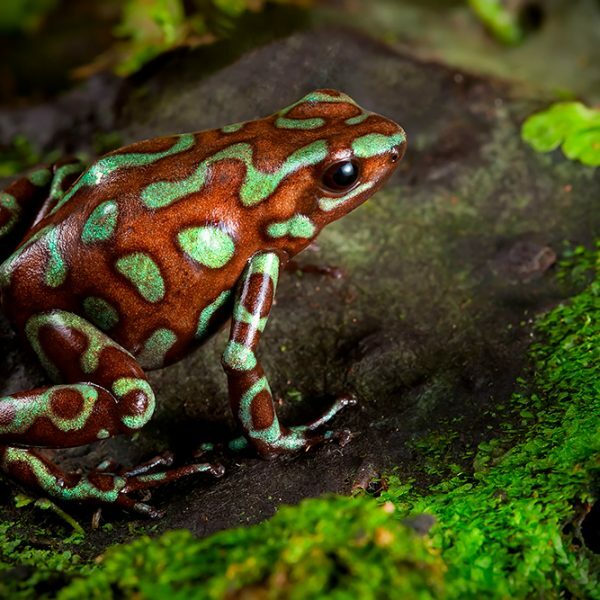 The 170 species are currently known from the tropical forests of Central and South America, and many sport such vivid and striking colouration that they almost do not seem real. 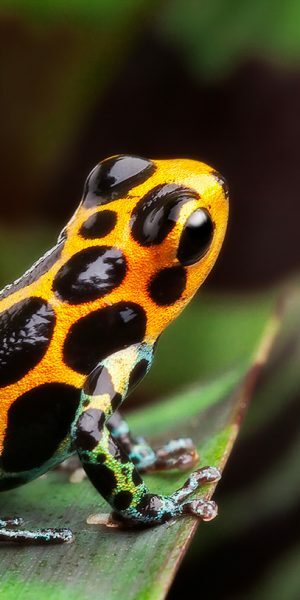 The dramatic colouration of dart frogs is a warning to enemies that their skin contains powerful toxins that are derived from ants, mites and termite that the frogs eat. 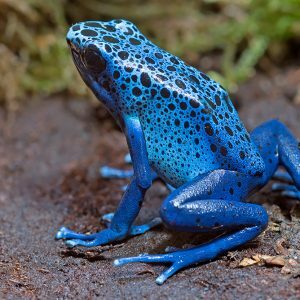 Many tribes of native Amerindians use of their toxic secretions to poison the tips of blowdarts, hence the frogs’ common names. 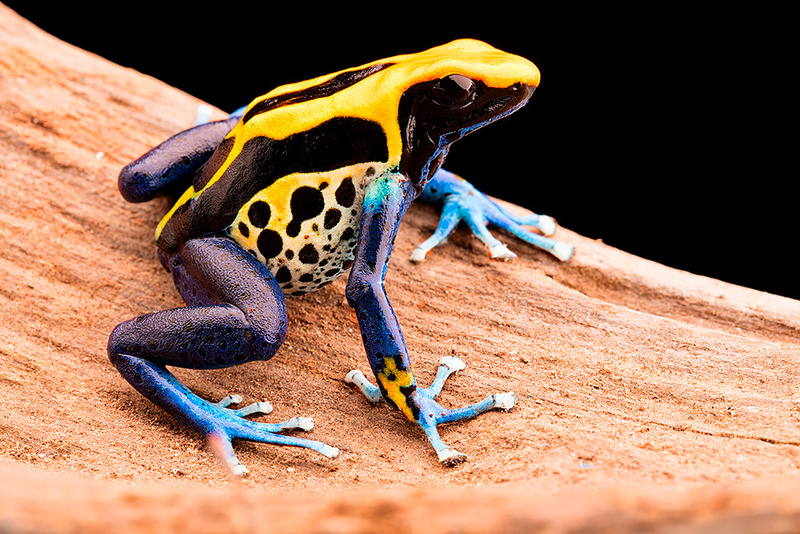 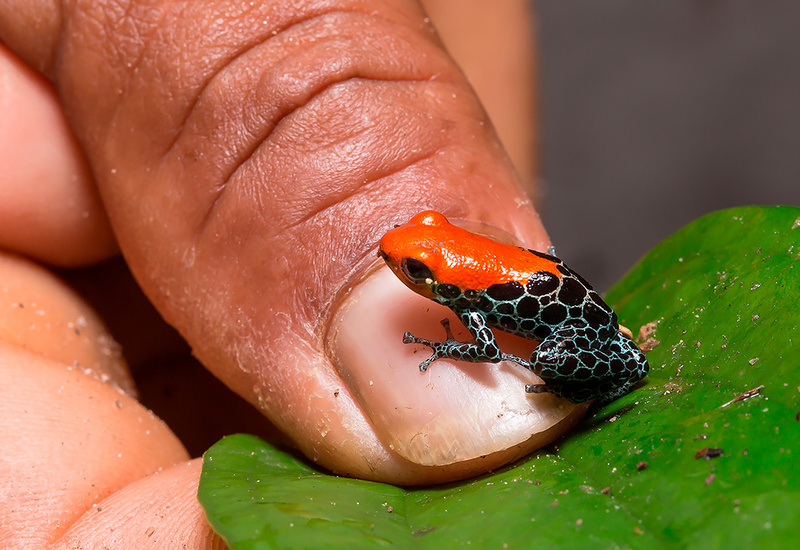 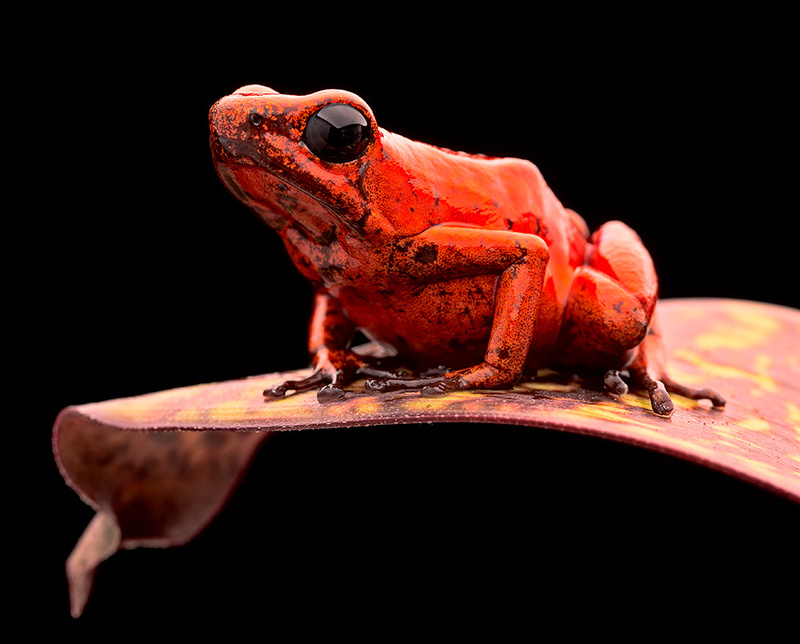 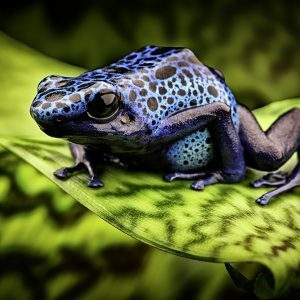 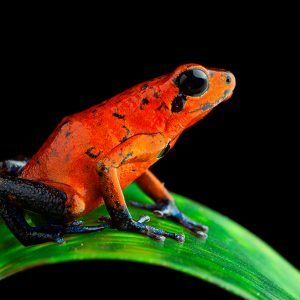 The toxins of many species of dart frogs can be deadly. 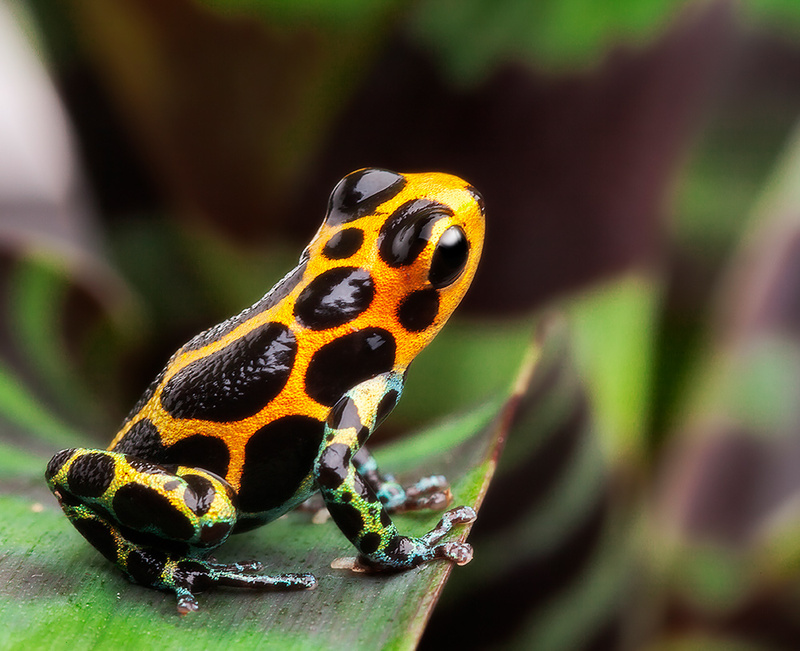 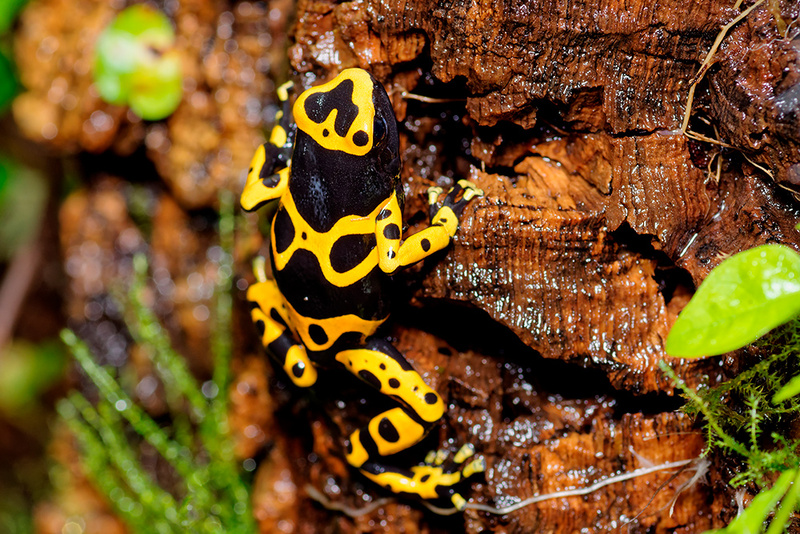 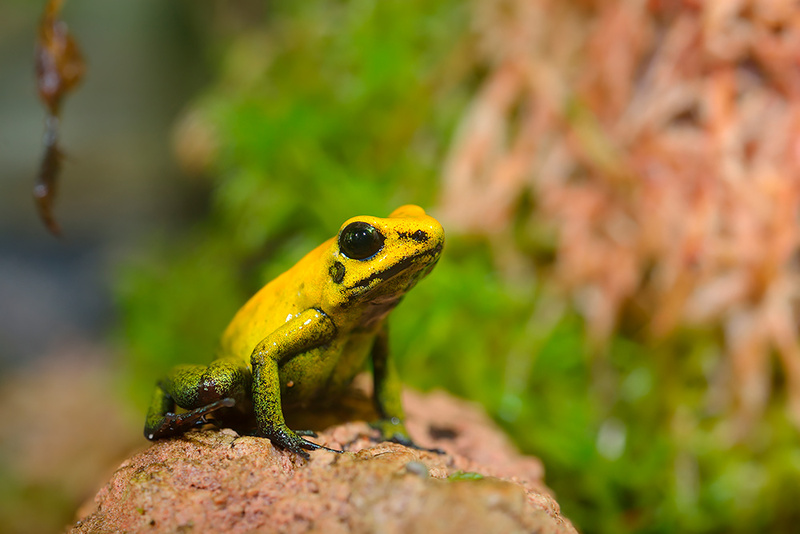 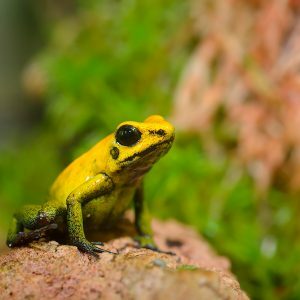 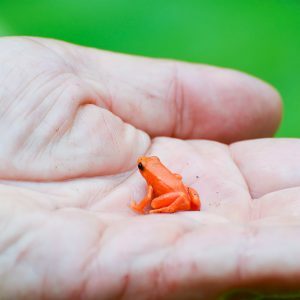 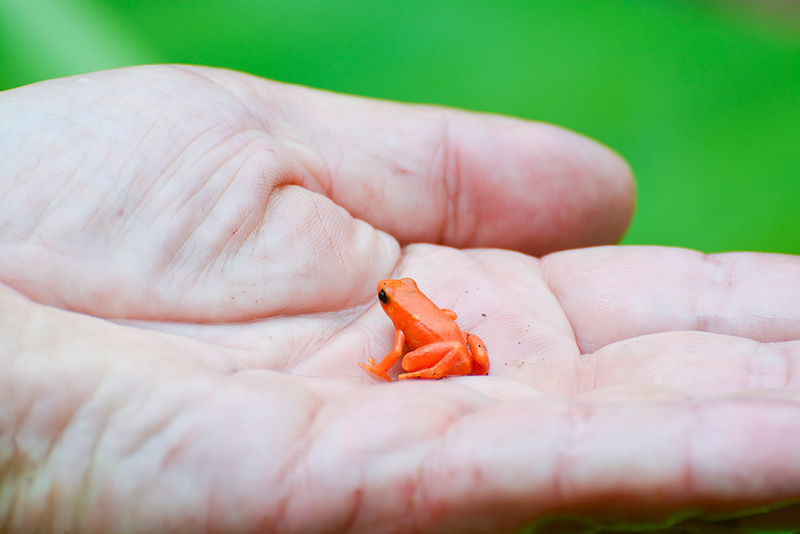 A single adult of the most poisonous of all, the golden poison frog (Phyllobates terribilis) can kill 20 humans! 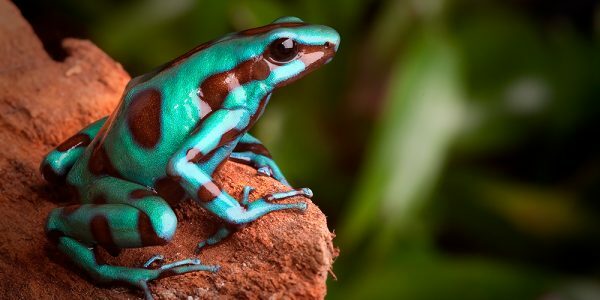 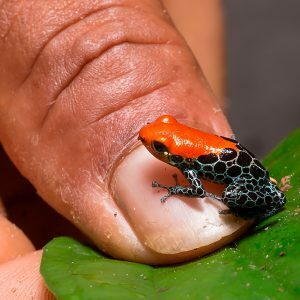 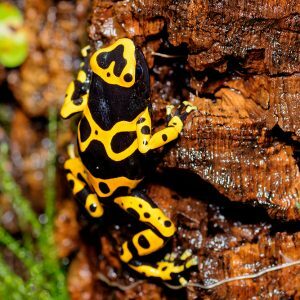 Captive-bred dart frogs do not feed on the ants, mites and termites from which the toxins are sequestered, and so lack the toxins that make wild dart frogs so poisonous. 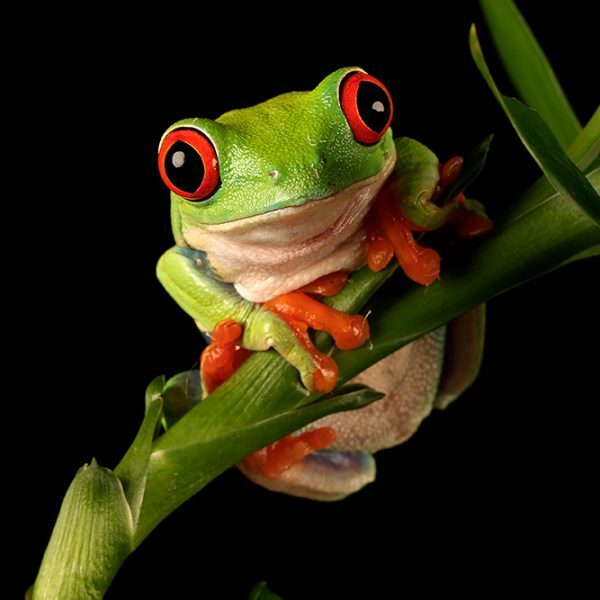 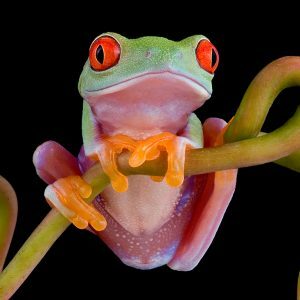 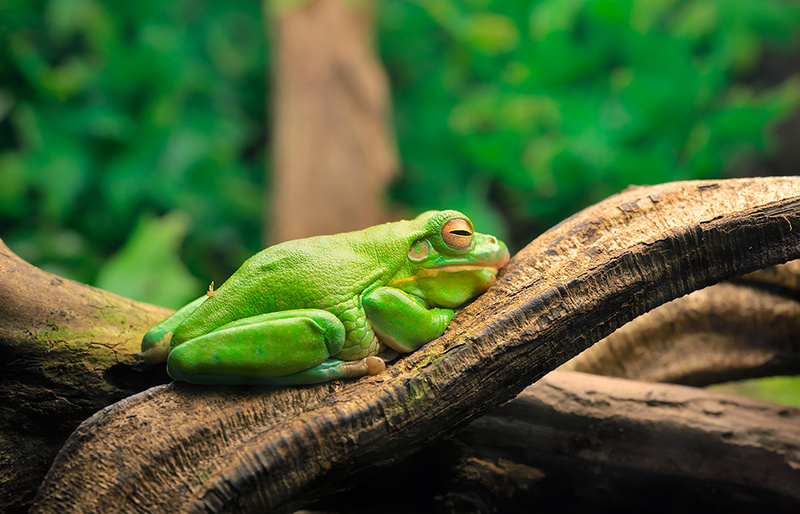 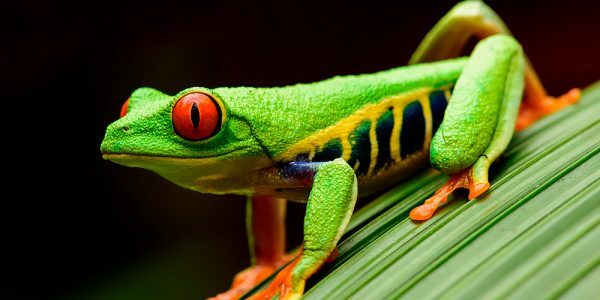 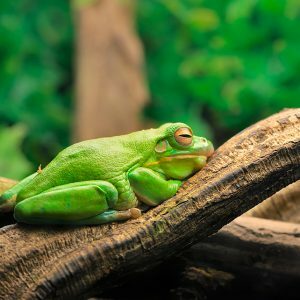 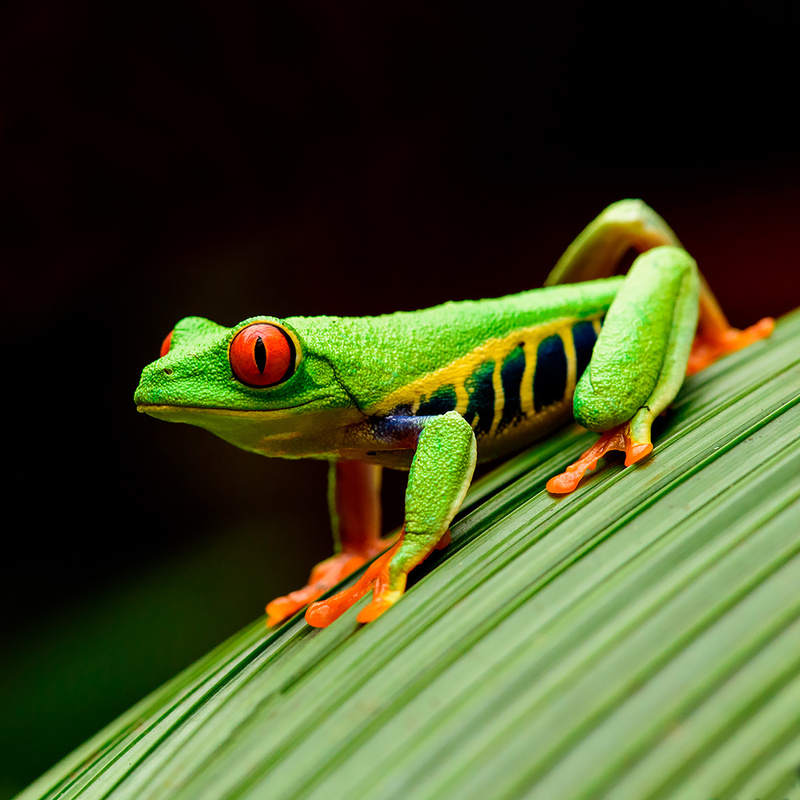 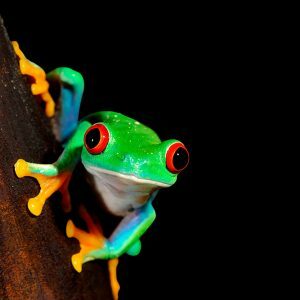 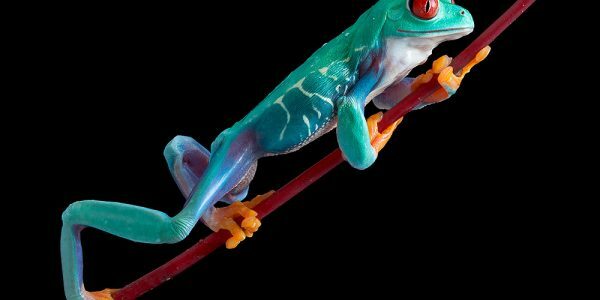 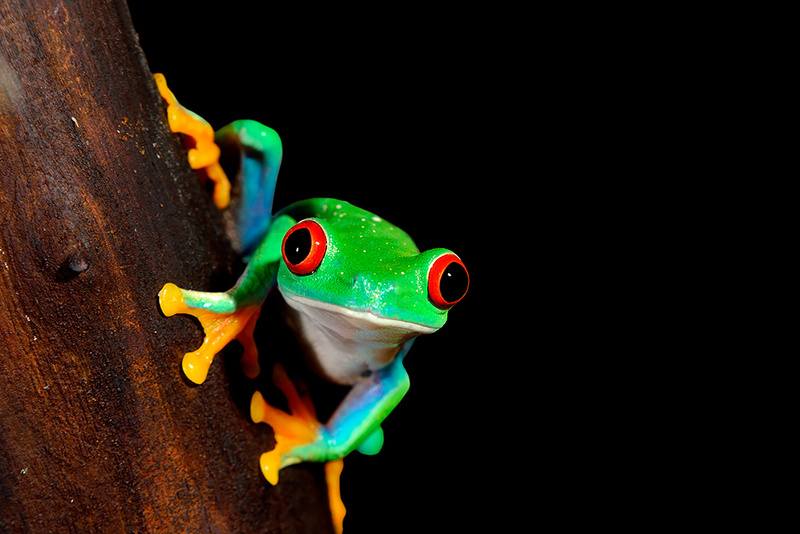 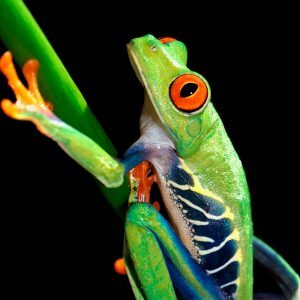 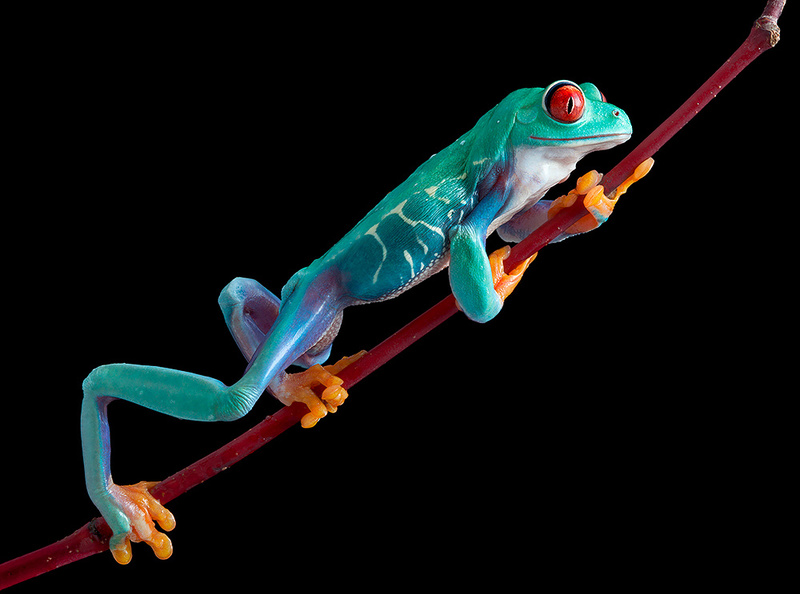 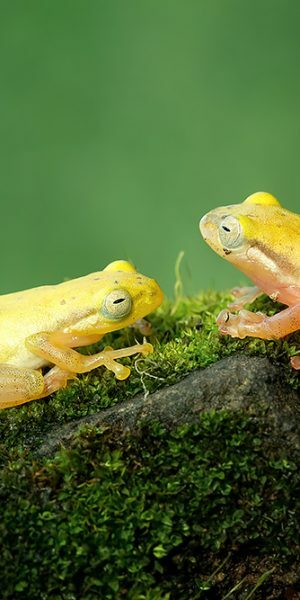 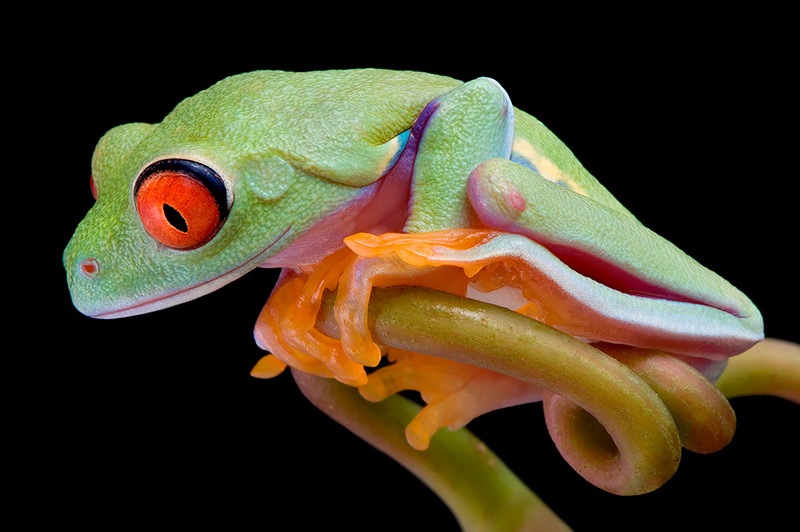 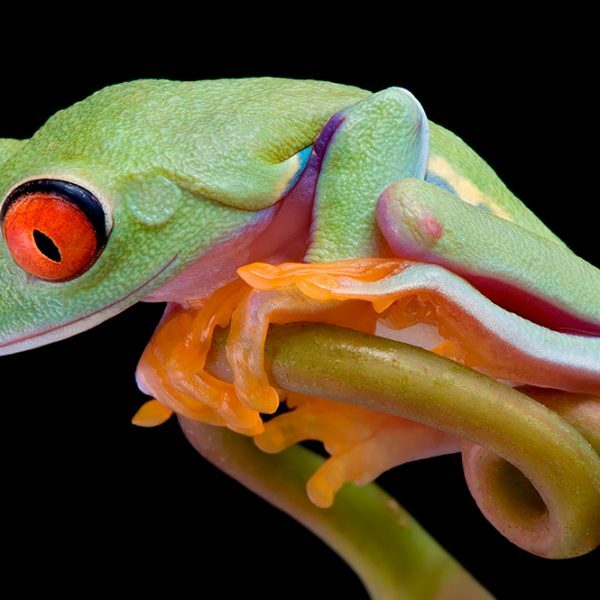 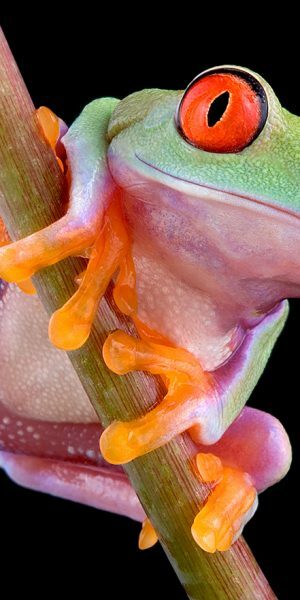 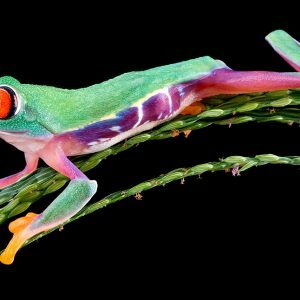 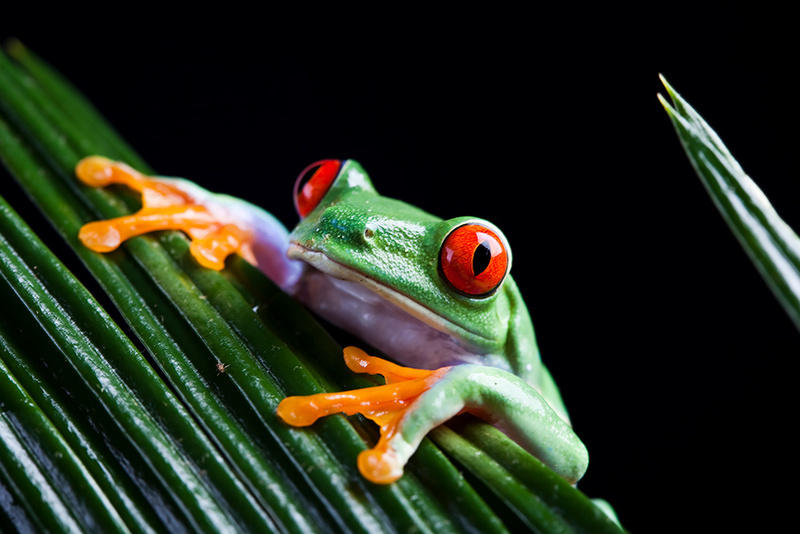 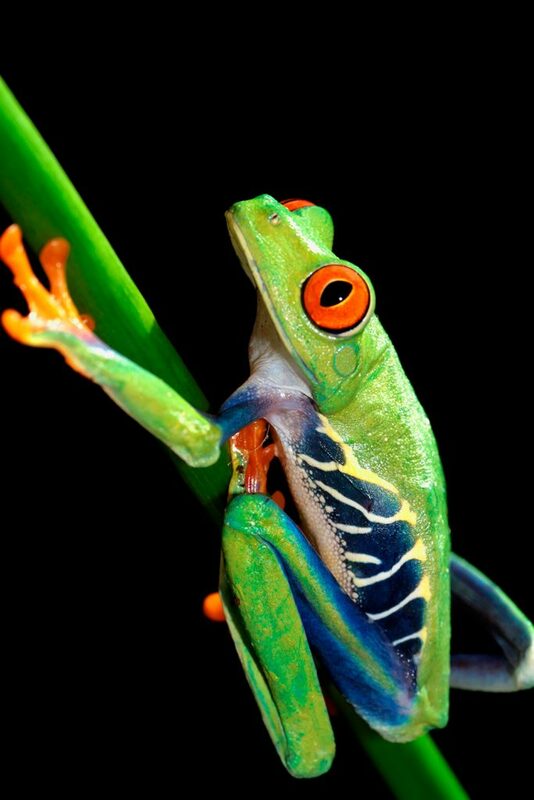 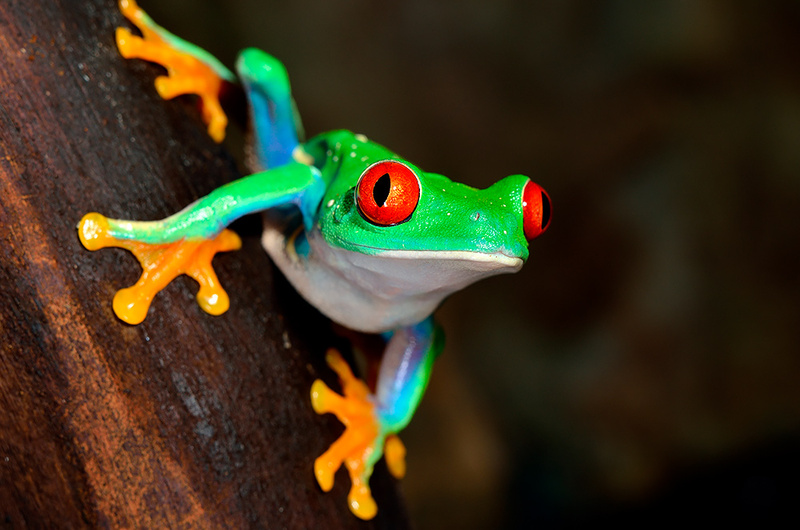 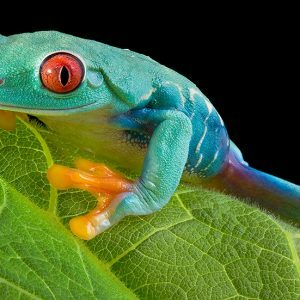 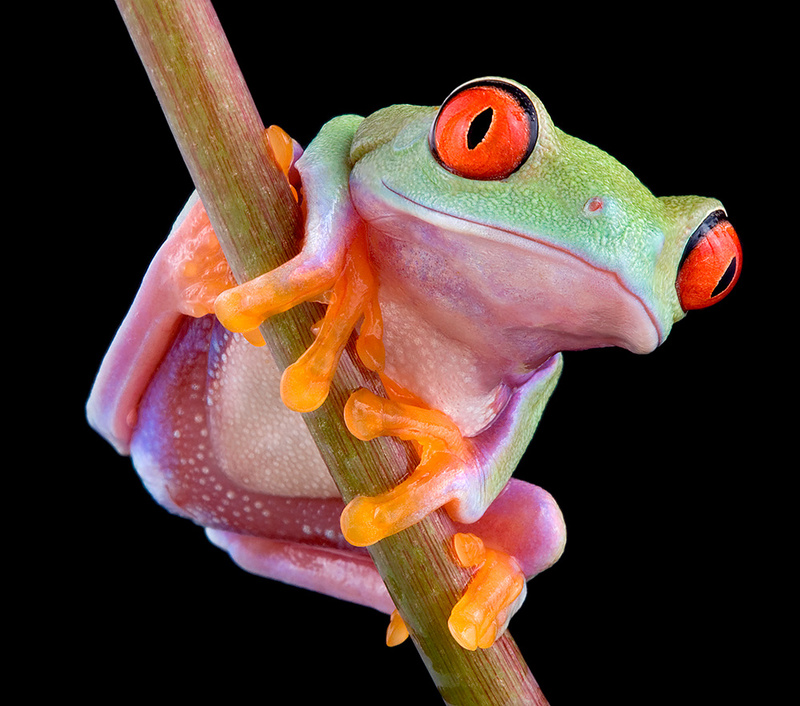 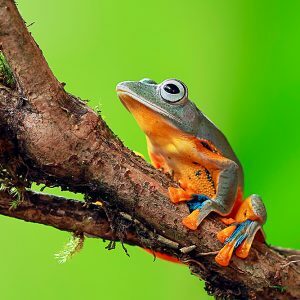 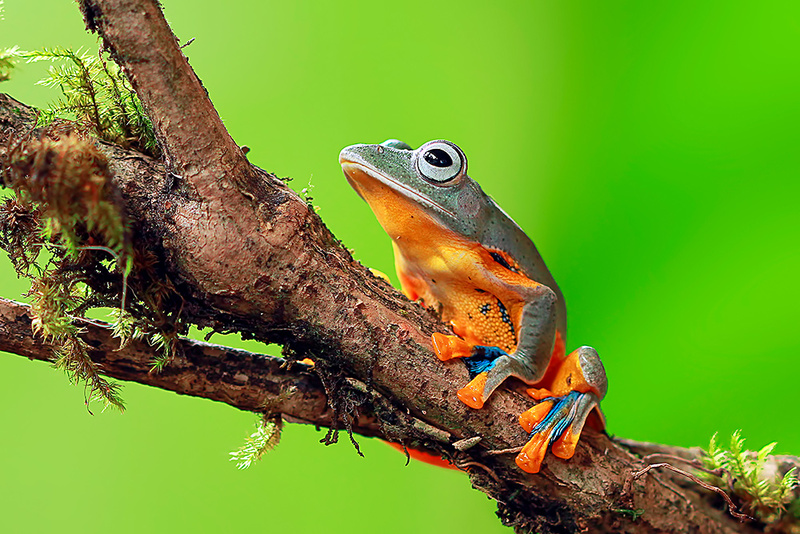 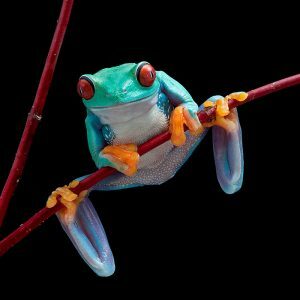 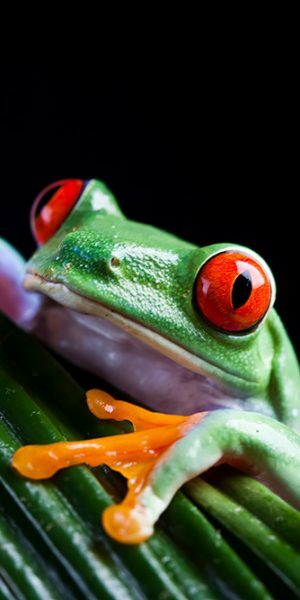 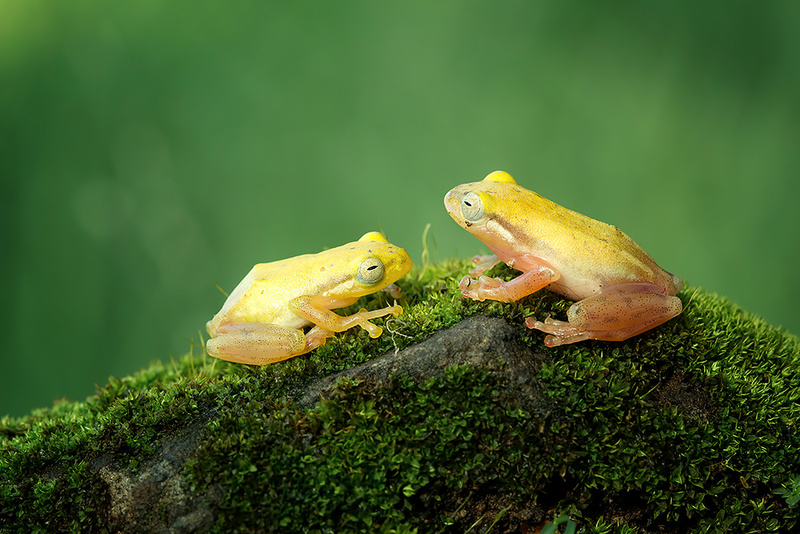 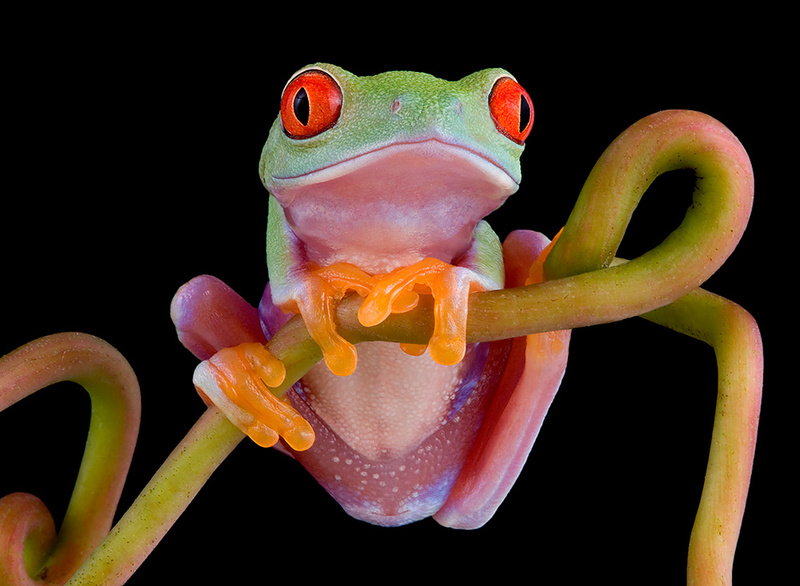 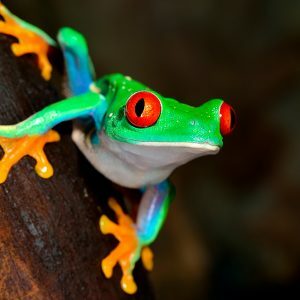 Tree frogs occur in tropical, sub-tropical and warm temperate regions around the world and are so called because they spend much of their lives in trees. 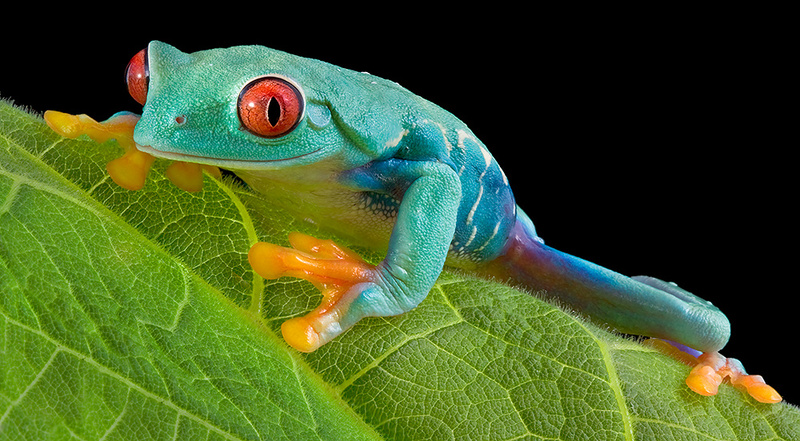 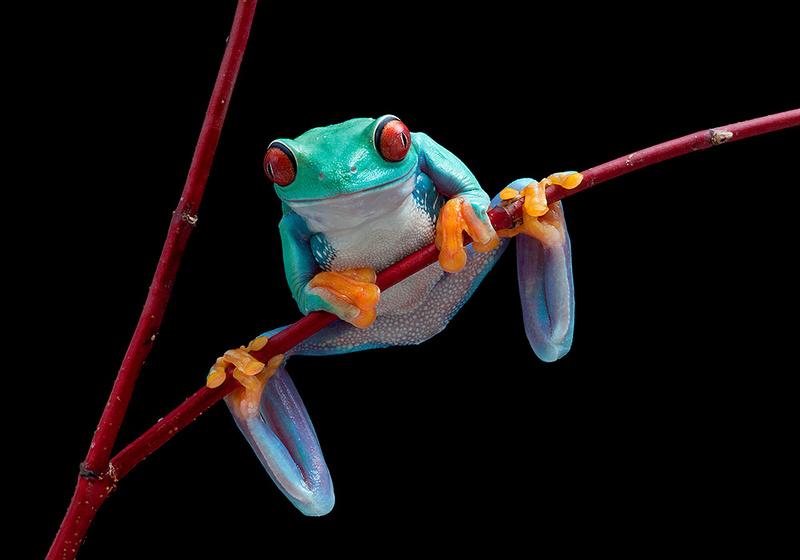 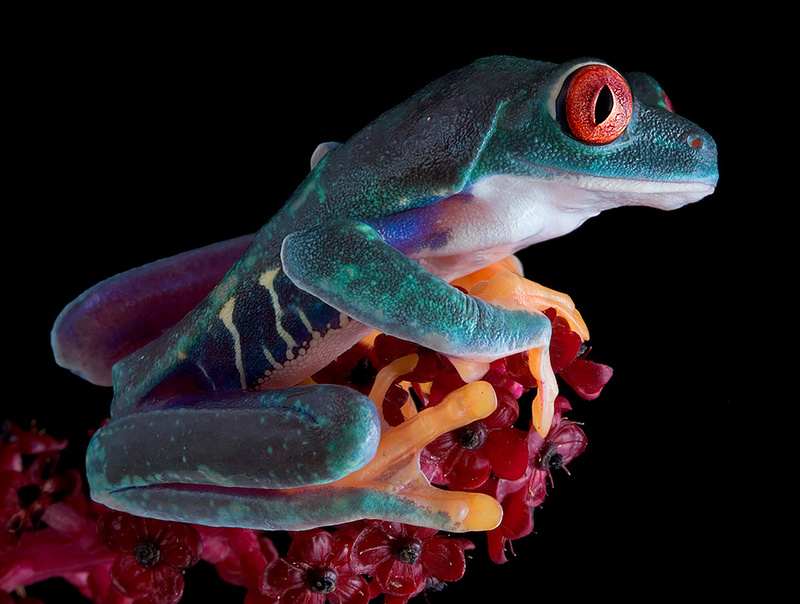 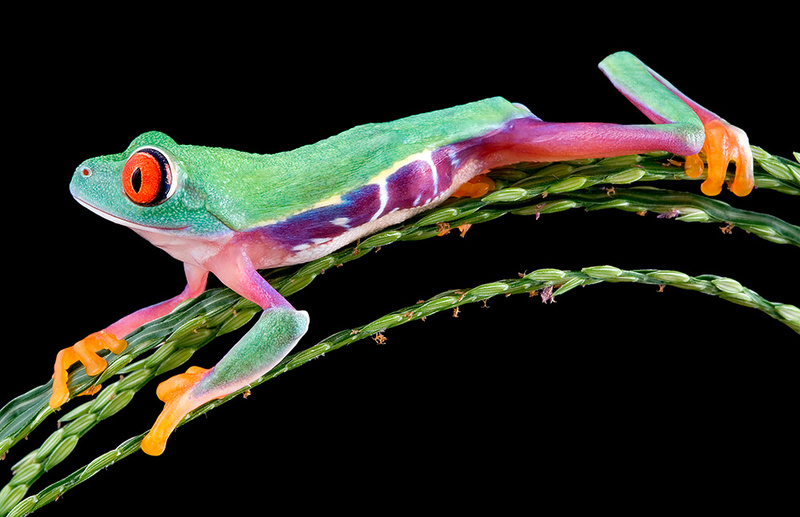 Many species of tree frogs have dramatic colouration to startle enemies, and some can change their colour to camouflage themselves. 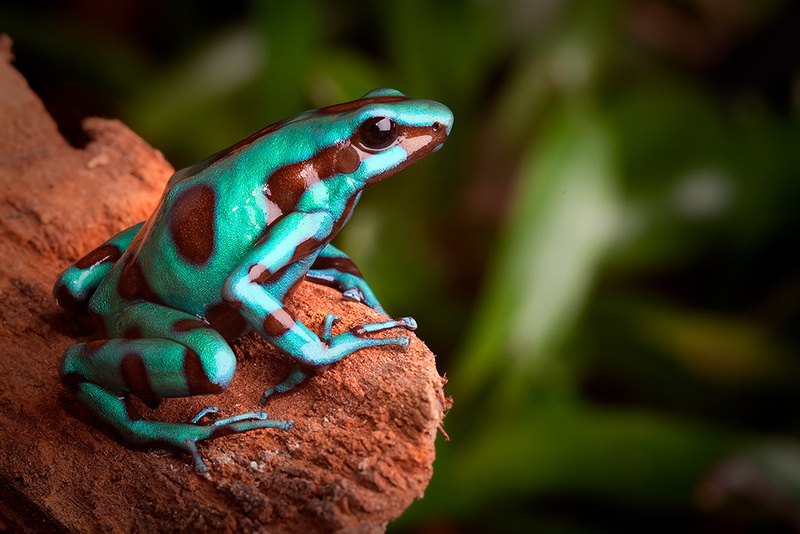 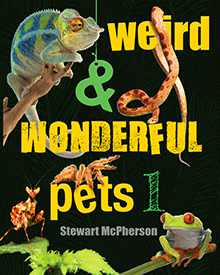 Dart frogs and tree frogs make fascinating pets. 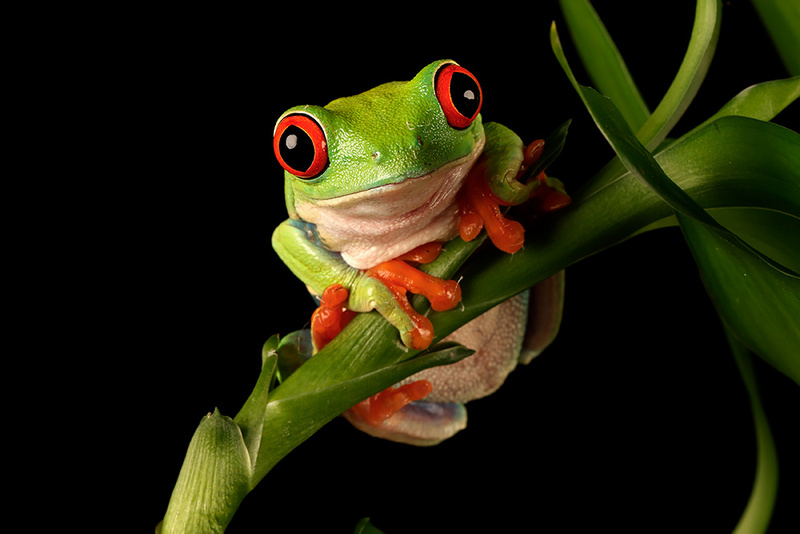 Watch the video below and take a look at the downloadable caresheet for further details!